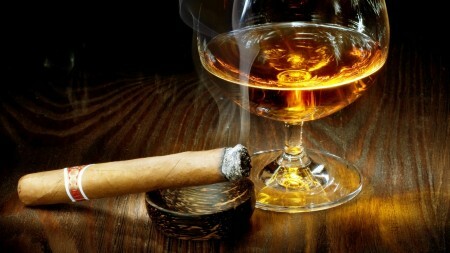 Cognac and a great cigar make a fine pair. It’s worth noting that Cohiba released a similar spirit with Bisquit back in 2005. Good things come to those who wait though, right? 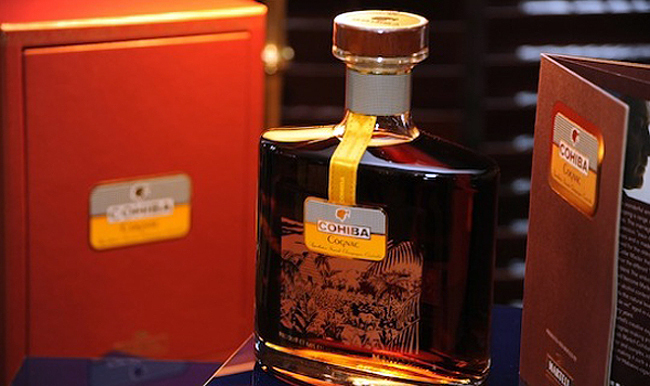 Cohiba Cognac by Martell is made from top of the line eaux-de-vie (a.k.a fruit brandy) that’s been aged between 40 and 50 years in oak casks. That means it’s had plenty of time to infuse with rich oak accents and develop a deep amber hue. At 43% ABV, it’s also the ideal amount of alcohol to sip while puffing away. In tribute to the Cohiba connection, the bottle is distinguished by a silk-screen print of a traditional Cuban tobacco field. A special wooden box is part of the package as well — though sadly it’s not a humidor. This Cognac is not from Cuba. 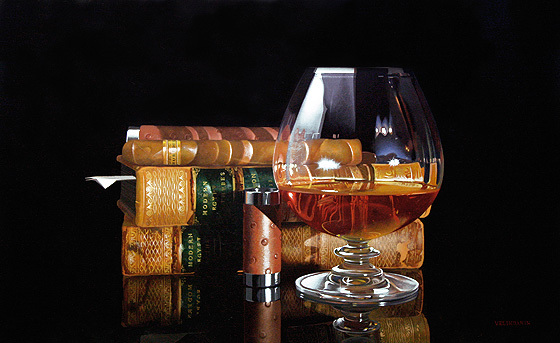 This Martell is a high quality cognac, the cognacs name is a reference to the taste, which goes well with a cigar. The eaux-de-vie spirits have an age between 40 and 55 years. You can buy this Martell bottle online at a price of $551. The characteristic feature of this beverage is an amazing freshness and a pronounced flavour of orange, almond, hazelnut, vanilla and honey. 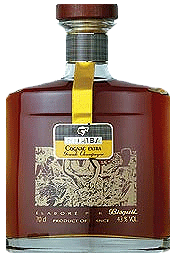 The finish is continuous with obvious hints of honey, spices, dairy caramel and dried fruit. The cognac has been produced at the personal request of Fidel Castro and is a perfect match with Cohiba Robusto – the most famous Cuban cigar brand. The stogie is medium to full bodied with tones of spice, wood, clove and wine. Unfortunately it’s impossible to say the same about another well-known Cuban cigar El Rey Del Mundo Tainos which is a Churchill of a great taste. This is a light bodied high quality stogie with woody and floral notes and easy, agreeable draw. Still, Cohiba Extra Cognac overwhelms this cigar releasing too much of sweetness whereas El Rey Del Mundo seems to be too simple and tasteless. In the pair Cohiba Extra Cognac and Rocky Patel Vintage 1992, the beverage simply ruins cigar’s flavor completely dominating it. The only thing that is left unaffected is the peppery aroma, which becomes harsh during the procedure.